The book - Barbarian Gold! 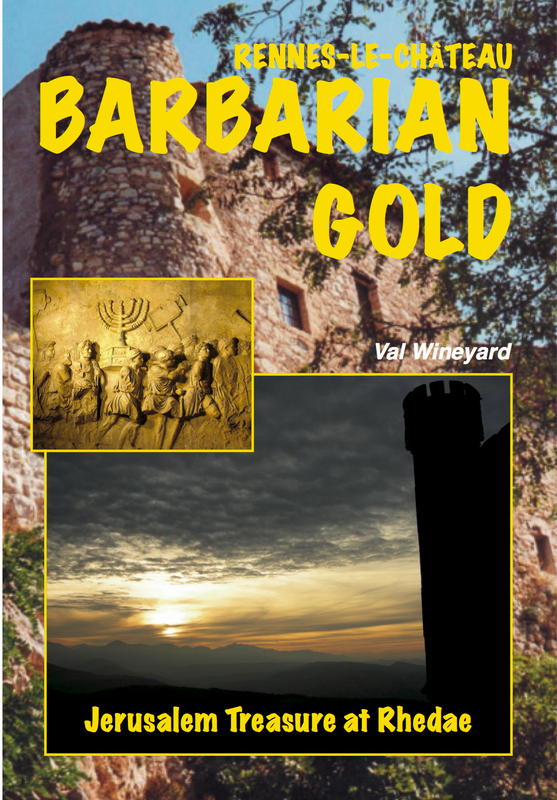 Be prepared to plunge yourself in the world of the Visigoths who conquered today's Languedoc in 410AD and brought the Treasure of Jerusalem with them. They lived in the regions of Aquitaine and Languedoc-Roussillon, now called Languedoc-Occitanie, that they called Septimanie, after the seven bishoprics on their territory. But where is the treasure now? 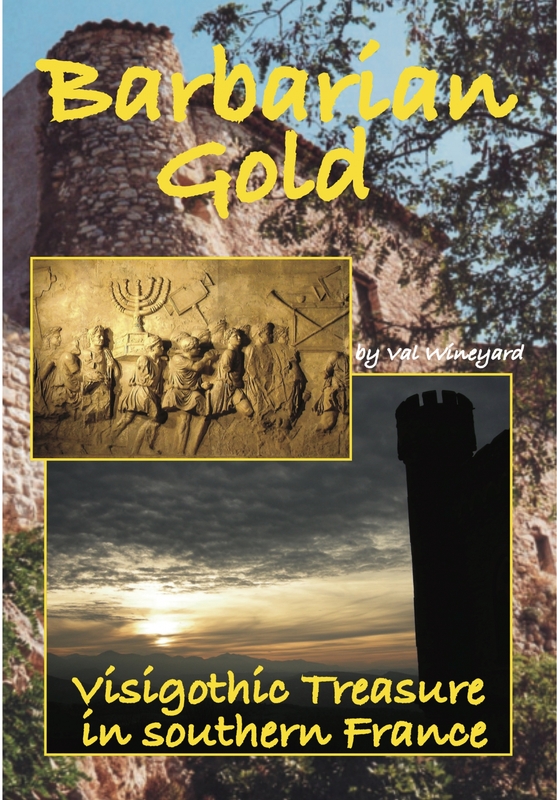 It's said it was hidden at Rennes-le-Château . . .Val traces the fate of the treasure right up to the present day. This site is easy to navigate. On the left are many articles and on the bar across the top you can click for "Films to Watch" and "Places to visit."